This was the first time I had travelled to Sicily in July 2016. What do you think of first when you think of Sicily? Well I thought the Godfather movies. You can actually go and see all the different venues used in the Godfather movies if you are interested in that. 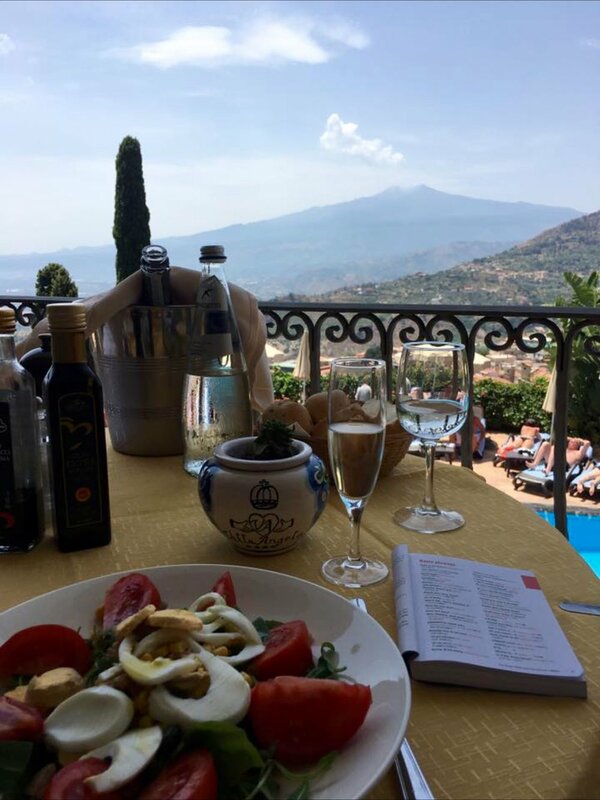 After visiting Taormina I now think of the delicious food, the friendly unpretentious people, the beautiful views, fruit trees, la dolce vita. 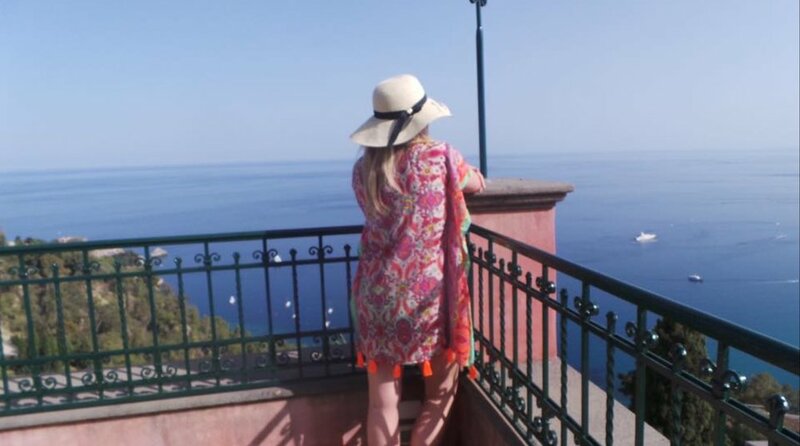 Really though my Sicilian trip was just wonderful, let me share what I got up to. I flew to Catania airport and from there got a taxi to Taormina. 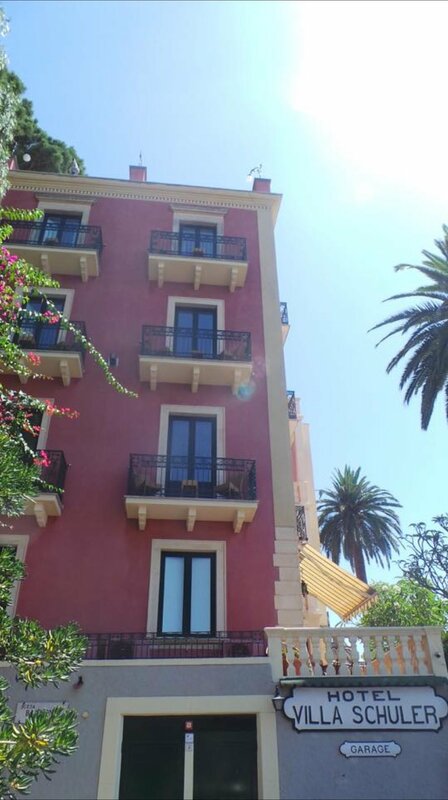 We stayed at the Villa Schuler Hotel which is a delightful pink hotel high up with a view of the sea below. I love my breakfast in a glam hotel, I think it is one of my favourite things on holiday to be able to sit outside on a lovely terrace and have a leisurely a la carte breakfast, and Villa Schuler also has a view of the sea from the breakfast terrace = bonus! They also did something very cute for my birthday which was a little bottle of prosecco and apple pie with a candle at breakfast which was a nice touch. The hotel has lovely gardens and citrus fruit trees. As you walk through the garden we found lemons and grapefruit which had dropped on the floor. You can walk through the gardens to get to the busy shopping road heading to the main square (Piazza IX Aprile). I loved just wandering the streets and looking in the shops and chapels, or just sitting in a cafÃ© watching the world go by. Found the Wunderbar Caffe was a good spot for people watching, I expect it hasn't changed that much from the 60s when it was famous! There are a lot of restaurants to choose from and every night you can go somewhere new. We watched opera in the Teatro which is worth going to, they played songs from the Godfather and dressed the part for a little humour! One day we went to see the Teatro Greco (Greek Theatre) which involves quite a lot of walking and needs a few hours to be able to enjoy it and take your time. The views at the top are really lovely. If you are lucky there are operas and singers performing in the Teatro Greco whilst you are on holiday. Unfortunately we just missed a concert but was interesting just to wander round and take in the views. There was a tourist bus which went past our hotel various times in a day and we found that we could buy a two day ticket and easily go and see all the beauty spots nearby. Spent a day at the Isola Bella which is a shingle beach next to a small island. Was great weather and quite nice but it gets very crowded and hot there and all the best sunbeds seemed to be reserved. We eventually got a good sunbathing spot but this took a while. Another day we went to Castlemola which is the highest point 500ft above sea level so has the most amazing views. The SAT bus is so much fun, you could hop on and off it all day and stop at various places or could just ride the entire route to decide where to get off. It also has stops at Giardini Naxos so you can enjoy the beach. 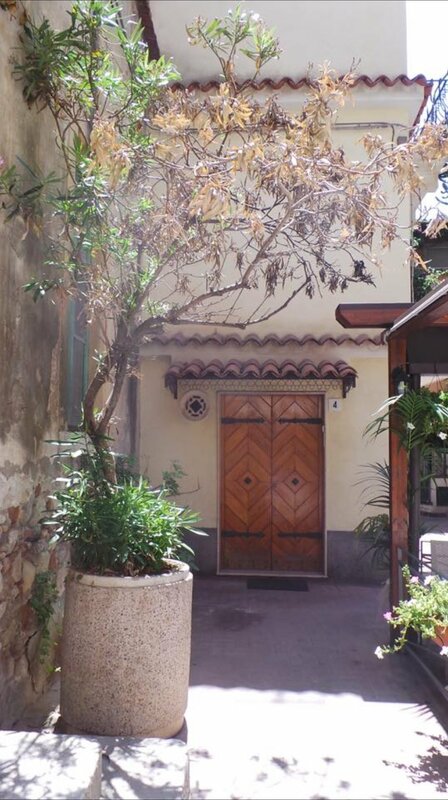 Taormina is a lovely place to stay and would suit all age groups, there are numerous wonderful restaurants, the theatre, shopping and also nightclubs if you want to party. I was there in high season when it was fairly busy but there was a nice buzz about the place and although restaurants were almost full did not have any problems getting a table anywhere we went. I can't wait to go back to Sicily this year and going to Catania/Syracuse/Ortygia so if you have any tips please let me know!